Pray for all the resources and creativity needed to fulfill the intentions of God in the state of Ohio. 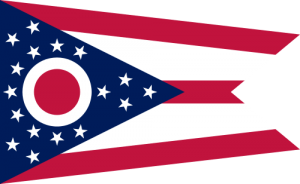 State Information: The land we call Ohio today was part the Northwest Territory that the United States won by defeating the British in the Revolutionary War. Ohio was admitted into the Union as the 17th state in 1803. The state gets its name from the river that forms its southern border. Ohio is an Iroquois word meaning “great water.” The capital of the “Buckeye State” is Columbus, and, not surprisingly, the state tree is the buckeye. Highly populated, Ohio is situated between the Eastern Seaboard and the Midwest, and is known for the fact that eight presidents were either born or lived there. The flower is the scarlet carnation.